GVS has built a large install base, ranging from fortune 100 companies to small independent artists (see client list). We provide complete and unfailing support to our customers as they face their most challenging operations. When the stakes couldn't be higher, and when extraordinary reliability is required, we want to be a trusted partner who will listen, perform, deliver and support 7/24. 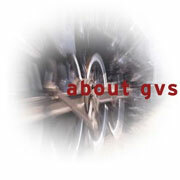 In essence, GVS acts as additional support for your own enginering and technical department. GVS offers customized media server systems for high speed applications, tapeless workflow management, uncompressed HD media serving, and most other applications; as well as high-end 32xCPU graphics workstations, custom Ethernet (1000/10GBit), and Fiber Channel (SAN) network solutions and high performance RAID storage subsystems intermixed in single production environment. All of our products are designed for stability, reliability, speed, and cross-platform compatibility for your entire production. Custom inter connectivity software and hardware packages allow for local and/or remote connectivity and collaboration for improved productivity. Our friendly and knowledgeable staff can assist your company with planning, systems sales, installation, implementation, and maintenance. What kind of track record do we have?